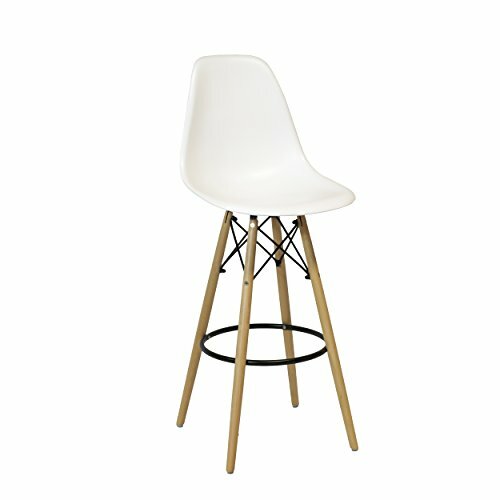 The Eames DSW stool is an iconic piece of furniture. Manufactured using beech legs, steel supports, and a polypropylene seat, the stool is a perfect blend of form and function. With a minimal style, this stunning replica can easily blend into both traditional and modern interiors, and is as comfortable as it is elegantly versatile. These are reproduction items inspired by the original designs. Design tree home follows strict adherences to the original design with regards to dimensions, frame construction, fabric pleating and materials. Making this significant design, an affordable luxury, built without any compromise to the original specifications and construction. If you have any questions about this product by Design Tree Home, contact us by completing and submitting the form below. If you are looking for a specif part number, please include it with your message.